Following Storm Desmond and the weekend floods the true impact and devastation of the aftermath is evident across Carlisle and Cumbria. 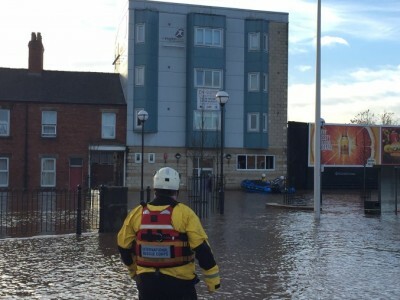 The water reached record levels in Carlisle with the environmental secretary confirming that water levels were half a metre higher than the previous record flood levels of 2005. Dramatic pictures from the weekend showed people being taken from their homes by boat, or in some cases helicopter, as the water reached dangerous levels. The police are estimating that at least 2,200 properties have been affected in Carlisle by the flooding, with the worst case scenario putting this at 3,500. Many of those made homeless have taken shelter in community centres, where volunteers have rallied to provide support and assistance, while donation centres have been inundated with supplies of clothing, bedding and food. After spending a cold Saturday night, without power, watching the floods rise, twenty of our own students were evacuated from u-student John Street by life boat on Sunday morning. We were fortunate to be able to snap up some of the last few hotel rooms in the city, with temporary alternative accommodation being provided by the Ibis hotel on Botchergate. Sunday brunch was an all you can eat buffet in the neighbouring Chinese restaurant. 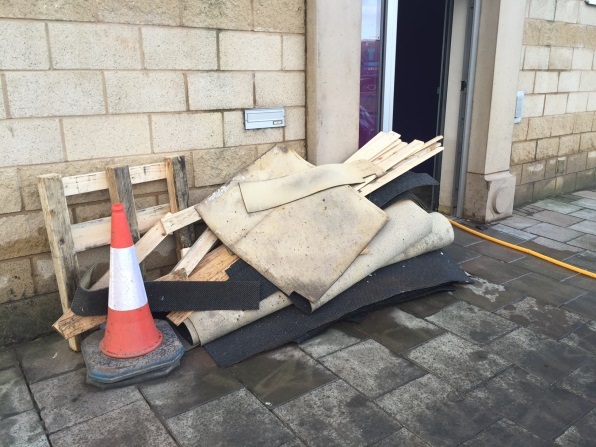 The clean-up process began early on Monday morning as soon as access to the property was possible, with accommodation manager Paula moving in quickly to assess the damage and starting work. 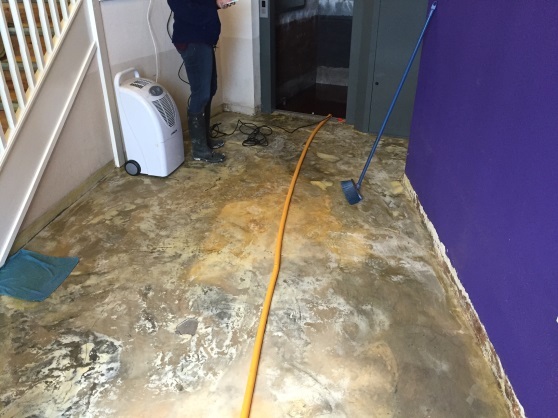 The building was designed with the flood risk in mind, meaning that most of the damage has been to reception and ancillary areas and accommodation areas have been spared. Our team are now working hard to clean the areas affected so that our students can move back into their homes as quickly as possible.